Answer to a higher calling. 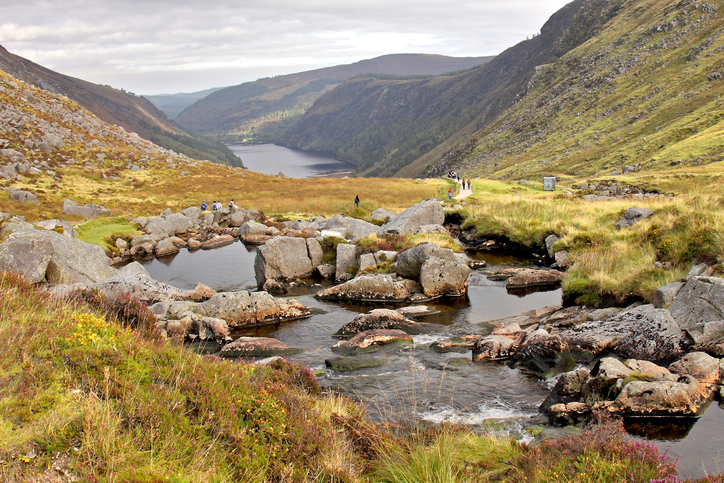 Ireland is blessed with some spectacular places to enjoy a bit of hiking or hillwalking. Choosing just nine hiking routes was almost impossible but we decided to pick out a few of the best to get you started. This week's Quit to Fit challenge is to go for a hill walk or a hike, so we're challenging our five JOE teams to put on their walking boots and head for the hills. If you happen to live in a particularly flat part of the country, a walk in the countryside is just as good! You can follow our team's progress on with the hashtag #QuitToFit. Why not give it a go yourself and post your updates to Twitter and Instagram using the hashtag #QuitToFit? We're expecting lots of spectacular photos from around the country. 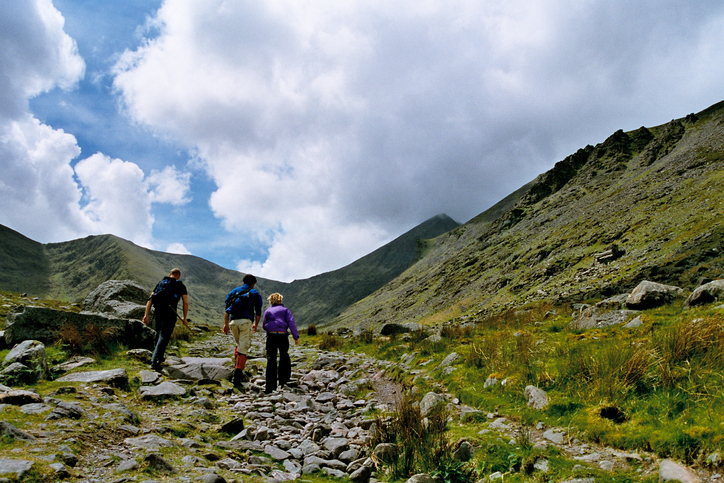 If you're not a regular hiker, you may need a bit of inspiration in terms of where to go. Fear not! 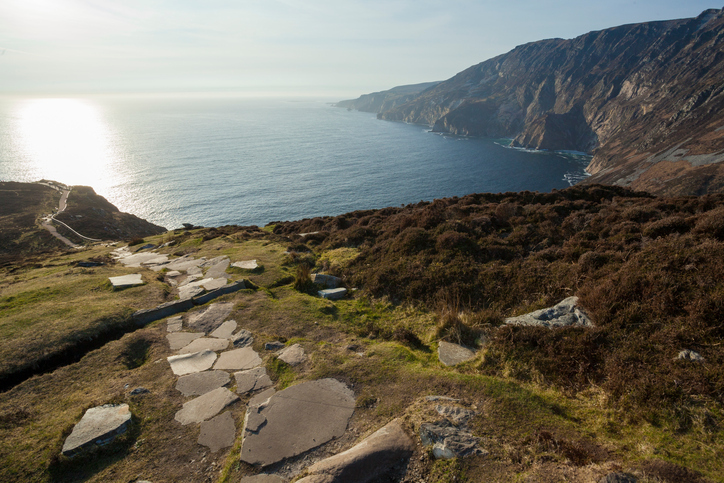 We've come up with a list of some Irish hiking routes that definitely won’t disappoint. 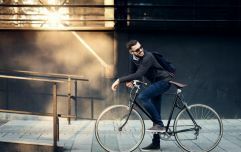 Even if these options are too far away for you, we're certain there are some amazing routes in your own locality. A wilder version of the Cliffs of Moher, this remote beauty spot boasts some of the highest sea cliffs in the world. With a 600m drop to the Atlantic waters beneath, there are some dizzying views and spectacular walks. To get to the highest point, follow the appropriately named One Man’s Pass. The Giant’s Causeway is one of Ireland’s most recognisable landmarks but this 53km walk takes in plenty of other famous spots. 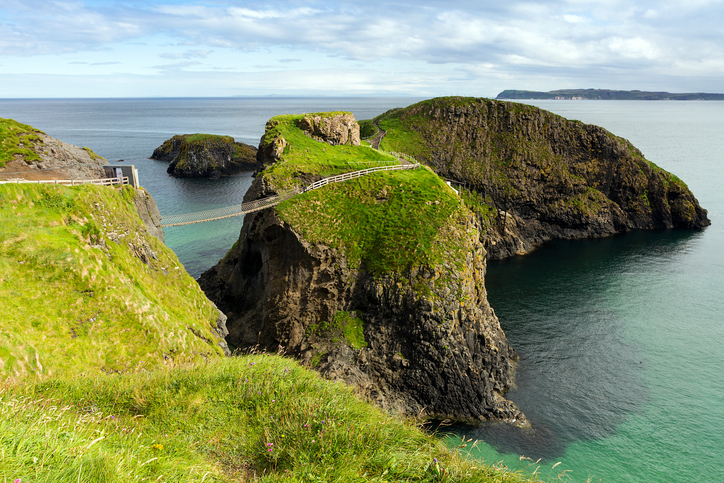 Depending on what section you choose, you can check out the likes of the iconic Carrick-A-Rede rope bridge and Dunluce Castle. The Bushmills Distillery is also just a short detour away if you need a bracing whiskey along the way! 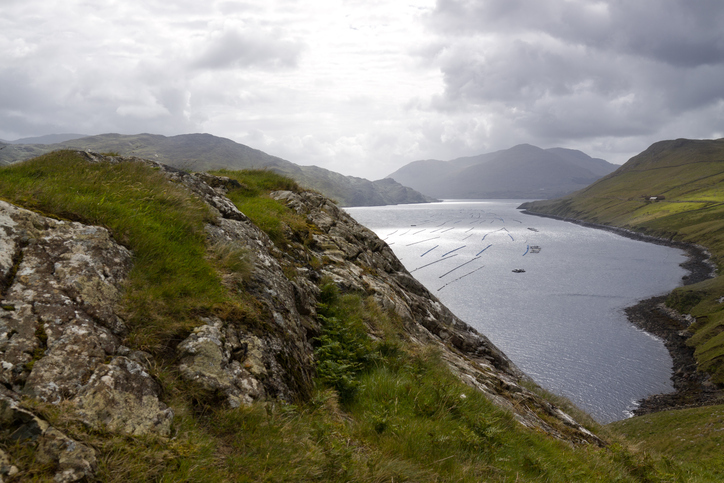 This Connemara walk runs alongside Killary Fjord, one of the very few fjords in Ireland. This 10 km walk follows an old famine relief path that runs past ruined villages to a small harbour. It’s a gorgeous walk in a unique landscape. The views are great, it’s off the beaten track and the route includes waterfalls that run under the path. This walk is within a relatively short distance from Dublin so it’s a great place to escape for some fresh air and some open country. It’s a relatively short walk that takes you from the lake at the monastic site up into woodland and past cascading waterfalls. The reward for the climb is a fantastic view of the valley once you get to the top of the Spinc ridge. 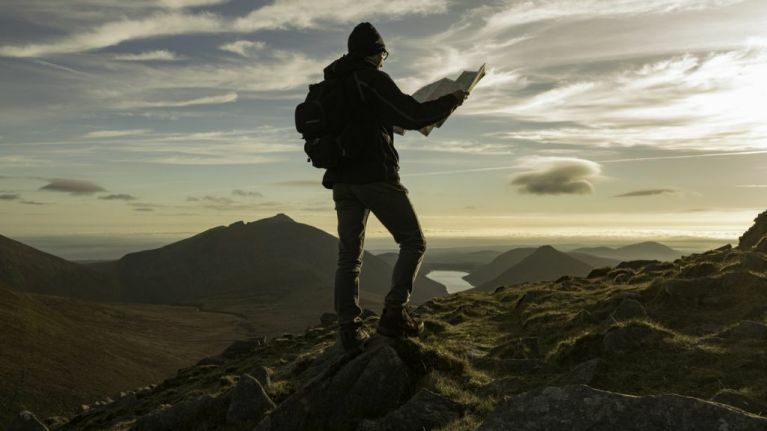 More advanced hikers will obviously be looking for a challenge and what could be better than taking in MacGillycuddy’s Reeks and Carrauntoohil Mountain. Follow in the legendary footsteps of the Fianna with this tricky walk across the top of the entire mountain range. Be warned that it could take up to 12 hours and it is a testing route. However, amazing views of the Black Valley and the Reeks make it worthwhile! 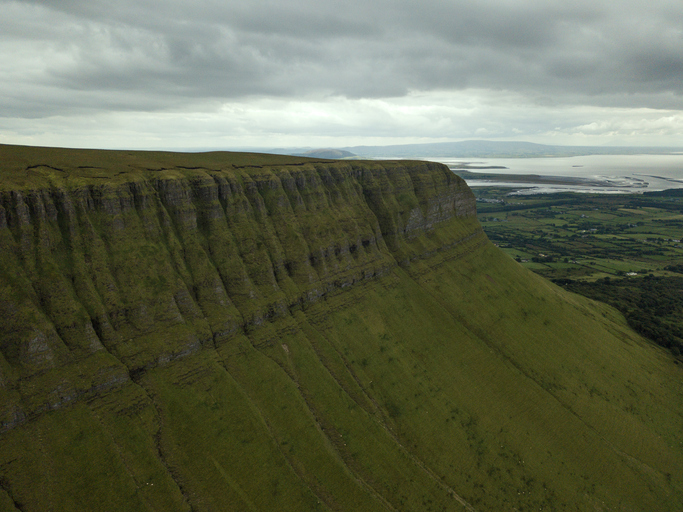 Immortalised by WB Yeats, the imposing mountain of Benbulbin looms over the surrounding Sligo landscape and almost challenges you to take it on. A moderately difficult 8km route takes you on to the plateau of Kings Mountain and on to Benbulbin with its distinctive vertical slashes. 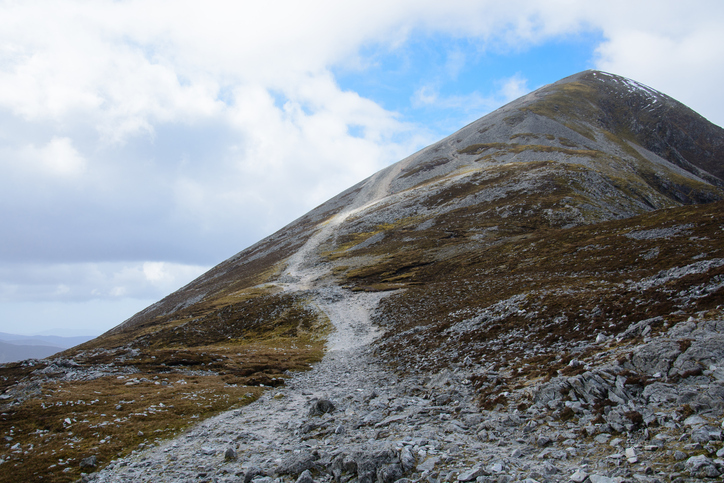 The mountaintop is also said to be the legendary resting place of Diarmuid and Gráinne. The Pilgrim Path and Hiking Trail is a 7km hike up this famous mountain which is a traditional pilgrimage route. So, as you can imagine, it’s not going to be too easy - even if you don’t do it barefoot. Known as a sacred mountain, it’s an enduringly popular place to climb so you’ll have to pick your time carefully if you want to have it to yourself! Dubbed the “Stairway to Heaven,” this walk is beside the Marble Arch Caves and the full loop is a tricky 20km walk. The stairway section refers to a wooden boardwalk that snakes through the wild landscape to the top of the mountain. It offers a handy path for hikers in any weather. It’s a visually arresting sight and it certainly makes for a fantastic walk. If you don’t fancy doing the entire loop, you can just do the boardwalk path and back. This dramatic cliffside walk takes you along an 18km route from Liscannor to Hag’s Head, the Cliffs of Moher and on to Doolin. 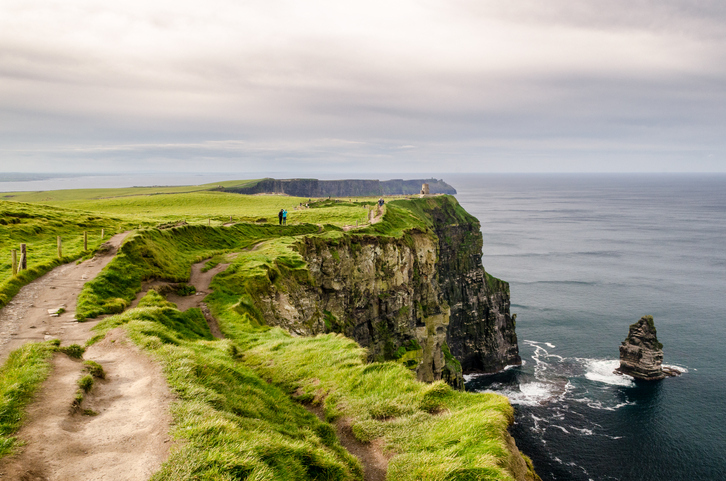 Taking in one of Ireland’s most renowned stretches of coastline, it’s suitably breathtaking. With views of the sea below, the cliffs and the islands off Galway, it’s certainly a memorable route. NiQuitin is an unbeatable* way of quitting smoking. Try the NiQuitin 14mg patch for 24-hour craving control and the new NiQuitin Fresh Mint 2mg gum to hit sudden cravings hard with great flavour! NiQuitin 14mg Clear Patches and NiQuitin Fresh Mint 2mg gum are "stop smoking" aids that contain nicotine but you still require willpower. Always read the label. *provides significant improvements in quit rates compared to the patch alone. *No purchase or use of NiQuitin is required.